Marbella is perhaps the most famous of Costa del Sol’s towns, known throughout the world as a high-class destination with luxury hotels and fine restaurants. But there is more to Marbella than you first might think, and under its glossy layer you will find a historical town with plenty of charm to enthuse its visitors. Marbella was only a small village in the early 20th century, but the town had an upswing shortly after World War II when several wealthy families built their luxury villas in the area. In 1954, the Marbella Club Hotel became a resort for the rich and famous with visitors like Ava Gardner, Audrey Hepburn and Cary Grant. The old hotel as well as some of the most luxurious residences on the coast are located in Marbella’s famous Golden Mile, a must-see for visitors. The area lies between Marbella’s town centre and the flashy port of Puerto Banus, where you can watch multi-million dollar yachts while having a drink at one of the many trendy bars. For a completely different experience, visit Marbella’s beautiful old town. Here you can wander cosy winding streets and enjoy the peaceful atmosphere between traditional white-washed buildings. The remains of a Roman settlement, a Roman bridge and Moorish castle walls bear witness to Marbella’s rich history. Make sure not to miss the famous Orange Square in the old town’s centre, where you can have a refreshment in one of the many bars and restaurants beneath blossoming orange trees. With a 27 kilometre long coastline, Marbella has beaches to suit everyone. Most of them are lined with chiringuitos, beach bars, where you can enjoy seafood or a drink right on the sand. They also offer plenty of options when it comes to entertainment, like play areas, paddle boats or paragliding. Popular beaches include Playa Atrola, Playa de San Pedro de Alcántara, Fontanilla and Playa Puerto Banus. Marbella has over 600 places to eat, so you are certain to find something to your taste here. For traditional seafood and tapas, head to the old town and enjoy its quiet atmosphere. 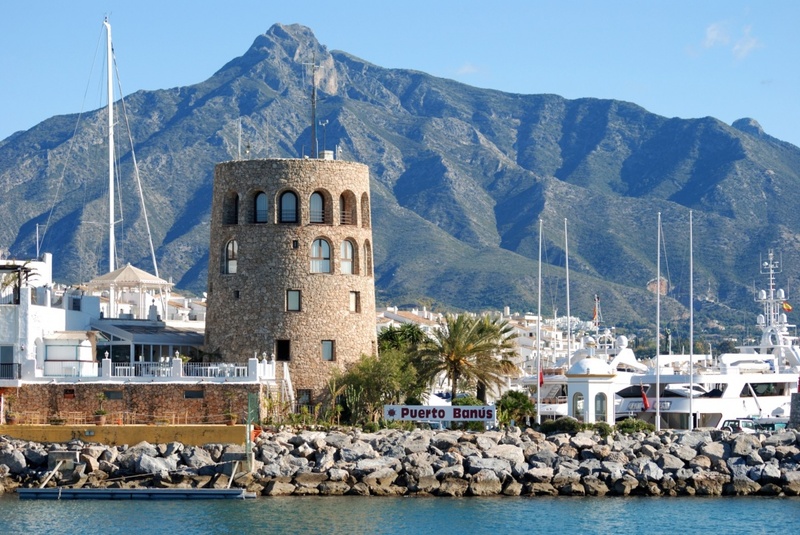 If you’re in the mood for something more trendy, check out Puerto Banus or the Golden Mile. Marbella is home to three Michelin-rated restaurants, the most famous of which is Dani Garcia’s Calima in the Hotel Gran Melia Don Pepe. Puerto Banus and the Golden Mile is also where you will find Marbella’s famously glamorous bars and clubs. Find information about selected Hotels, apartments and rooms in Marbella to choose the perfect place for your accommodation.